Will My Flexible Spending Account Show Up On a W-2? The IRS rules determine which FSA contributions are reported on Form W-2. 3. What Happens to Flexible Savings Account When I Quit? Annual health insurance premiums have been on the increase for a while, reaching $19,616 for families in 2018. Employers, hoping to provide great benefits without blowing their budgets, have sought out ways to cut costs. One of the best options has been through the use of flexible spending accounts, also known as FSAs, which let workers set pretax money aside for uncovered medical expenses like dental and vision care. 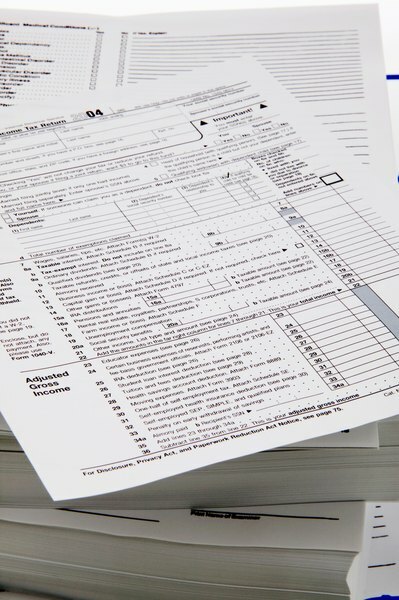 But at tax time, you may be looking for information on your FSA contributions on your W-2 and wondering if they come into play as you’re filling out your tax forms. Unless you had a dependent care FSA, your FSA contributions won't up on your W-2 form. However, you will be able to see how much your health coverage has cost you and your employer. An FSA is a type of consumer-driven account, which also include health savings accounts, or HSAs, and health reimbursement accounts, or HRAs. All three of these have the primary goal of allowing consumers to take charge of their own health care insurance. Instead of paying premiums into a plan they may not have to use in a given year, workers can set money aside for their own health care. This is especially beneficial to younger consumers who may have lower medical expenses, since they can set money aside for later in life, when they might need it. Consumer-driven accounts are often used as part of a consumer-driven health plan, which makes it easy for employers to combine high-deductible health plans with pretax savings. They choose a high-deductible plan, then combine it with a savings account that will offset some of the extra out-of-pocket cost. One of the biggest downfalls to an FSA is that the money expires at the end of the plan year, while HSAs let the money continue to accrue year after year. FSAs are designed to cut a taxpayer’s IRS bill, not increase it. If used correctly, an FSA can eliminate a significant chunk from a worker’s amount due each year. You can have up to $2,700 withheld from your paycheck in 2019, which is $2,700 of your earnings that won’t be taxed. There are similar accounts that can be set up to pay for child care, called dependent care FSAs, and those have a limit of $5,000 annually. For married taxpayers filing separately, that benefit is divided, with each parent able to set only $2,500 aside. With dependent care FSA, you’ll also be limited by the lowest earner of the two. In other words, you can’t each set $5,000 aside for a total of $10,000 annually. Not only will the money be taken out of your paycheck before taxes, you won’t owe on your income taxes when you file. The pretax amount also means that money won’t be taken out for Social Security and Medicare taxes, saving you as much of 7.65 percent of what you’d normally see taken out. When you receive your W-2 from your employer, you’ll see information on your health coverage in Box 12 of your form. This will include both the amount your employer paid in for your health care coverage and the amount you paid in over the course of the year. There will be nothing on the form about your FSA or HSA, unless you had money taken out for a dependent care FSA. An employer can include information on any money contributed to an HRA, but that is optional. If you had a dependent care FSA, the amount that was taken out will appear in Box 10 of your W-2. Your partner will see those benefits in Box 13 of their Schedule K-1, with the code O. If you had any type of FSA other than dependent care, you can file your taxes without worrying about it. However, if you had a dependent care FSA, you’ll need to claim the contributions on Form 2441. On Line 12, you will enter the total amount of benefits you received for the previous tax year. Once you’ve entered this information, your tax obligations for your FSA will be complete. Can a Husband and Wife Both Claim Flexible Dependent Care Benefits? Can You Use a Flexible Spending Account to Pay Health Insurance Premiums? What Is 'Cafe 125' on a W2 Tax Form? Can I Claim Dependent Care Expenses for a Disabled Granddaughter? What if Money in a Flexible Spending Account Is Not Spent?